Hello everyone! Jeremy here with another ticket giveaway for my loyal followers and readers alike! 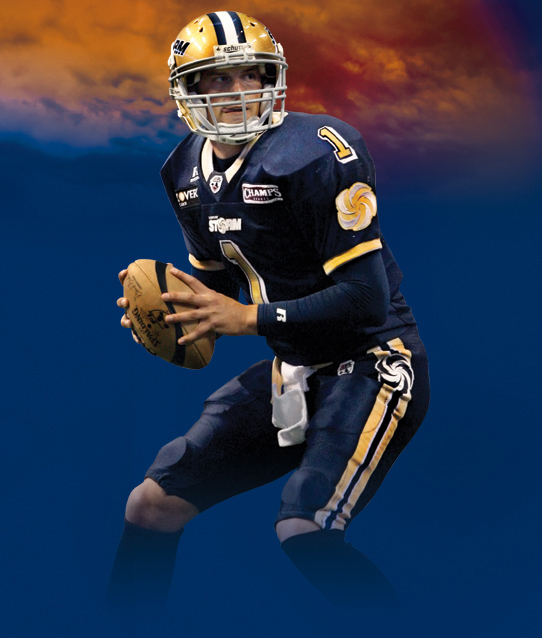 Just in case you didn&apos;t know, the Tampa Bay Storm season finale is next weekend, and I want to give away some stuff! Now of course there season is not over, as the boys have been kicking some tail this weekend and are a pretty solid bet to make the playoffs, but but their regular season does end next week vs the rival Orlando Predators. The last time these two matched up was back in May with the Storm coming out on top by the scoreline of 62-50, so you can rest assured that the Predators will be looking to exact some revenge in front of what I am sure will be a hostile crowd at the St Pete Times Forum! I have two sets of 2 tickets to give away today for the game, so i suggest you put those trivia hats on! Here is a refresher on the way the giveaway will work. Instead of re-tweeting like I used to make you do, just answer the question on Twitter. Once you do that you will be entered in to win, as we will randomly draw two names. For those of you playing on Twitter and who choose to re-tweet, it does indeed increase your chances of winning. I draw names from the first 10 correct answers, so make sure you get the correct answer to play! Around 5pm, I will announce the winners! Who holds the Storm single-game record for most touchdown passes with ten? What team did the Storm defeat to claim their first two Arena Bowl titles? What former Storm quarterback guided the team to four out of five Arena bowl titles and is one of six players in Storm history to have his number retired by the team? HA! Now I am sure I stumped you with those questions, so lets see what you guys got, and who can answer! Remember I am only taking the first 10 correct answers into the drawing so make sure you get it right. Also don&apos;t forget, that wile you don&apos;t have to re-tweet the original tweet to win, re-tweeting does increase your chances of winning. Happy playing guys and stay tuned in for more Tampa Bay Sports related updates and awesome things to do in Tampa Bay!